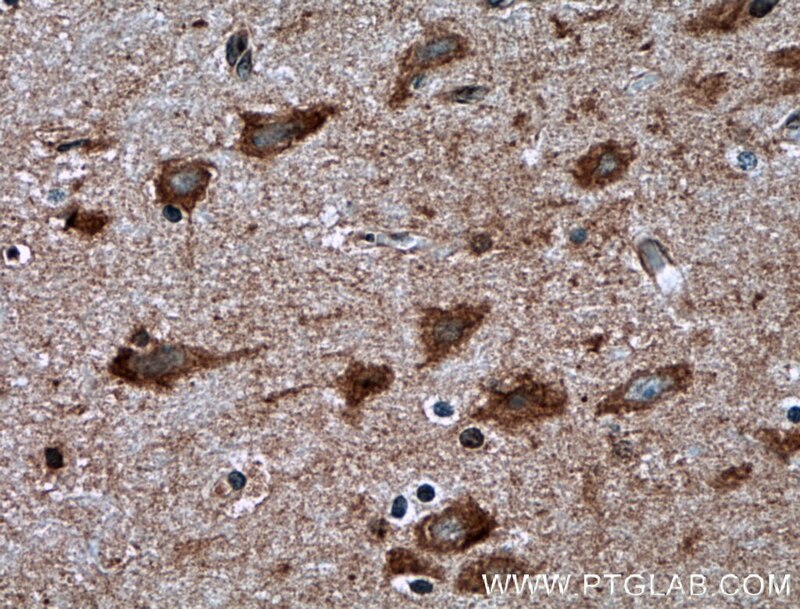 Immunohistochemical analysis of paraffin-embedded human brain tissue slide using 15924-1-AP( RHEB antibody) at dilution of 1:200 (under 10x lens) heat mediated antigen retrieved with Tris-EDTA buffer(pH9). 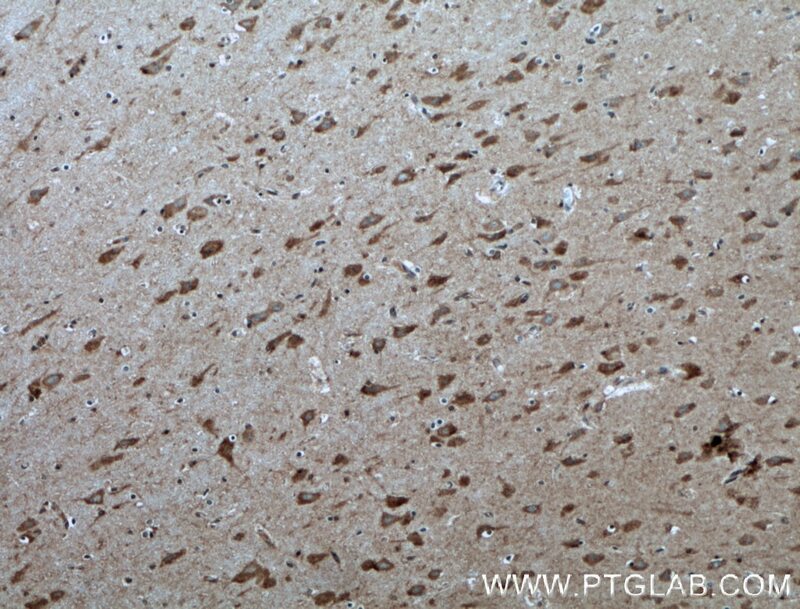 Immunohistochemical analysis of paraffin-embedded human brain tissue slide using 15924-1-AP( RHEB antibody) at dilution of 1:200 (under 40x lens) heat mediated antigen retrieved with Tris-EDTA buffer(pH9). Rheb is a member of the Ras superfamily small GTPases that plays important roles in the regulation of protein synthesis and growth in response to nutrient and growth factors. 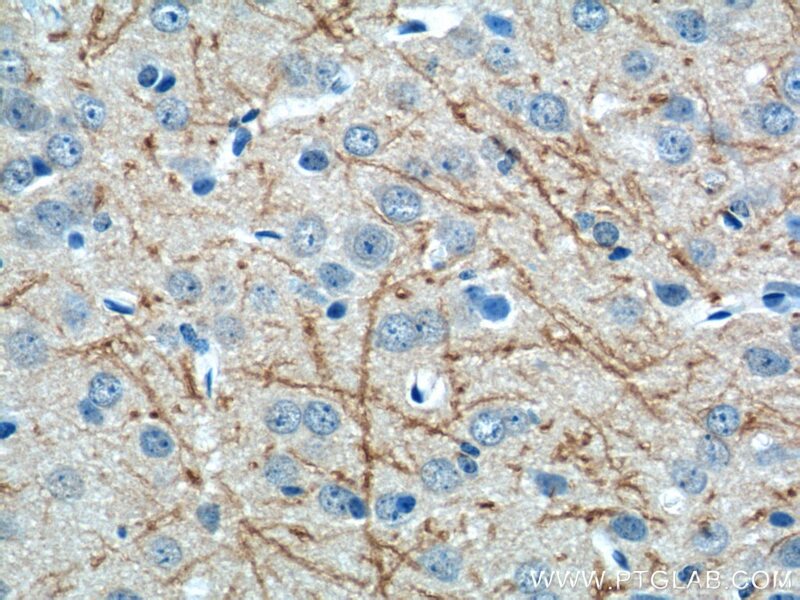 It is well known to bind and activate mTOR, a serine/threonine kinase which augments protein synthesis. Rheb has GTPase activity and shuttles between a GDP-bound form and a GTP-bound form, and farnesylation of the protein is required for this activity. Ox-LDL-Induced MicroRNA-155 Promotes Autophagy in Human Endothelial Cells via Repressing the Rheb/ mTOR Pathway. Crosstalk between glucocorticoid receptor and nutritional sensor mTOR in skeletal muscle. 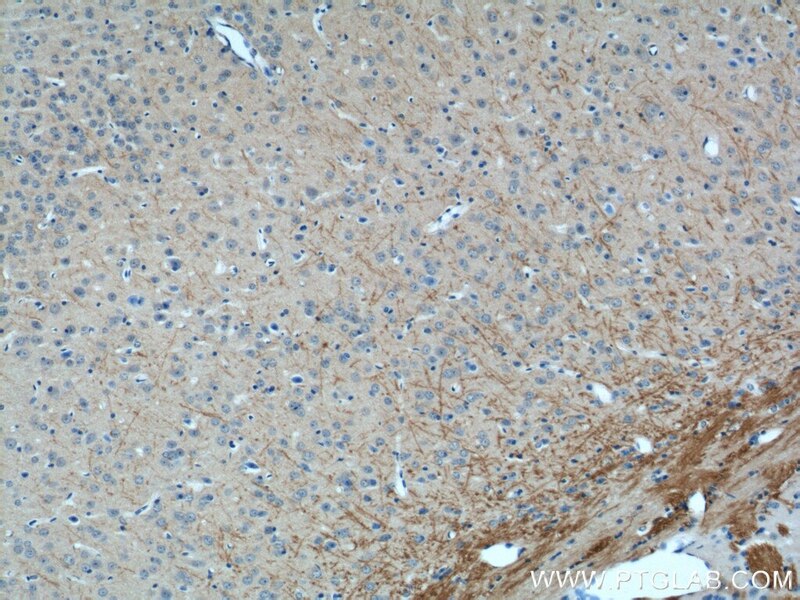 Rheb phosphorylation is involved in p38-regulated/activated protein kinase-mediated tumor suppression in liver cancer.